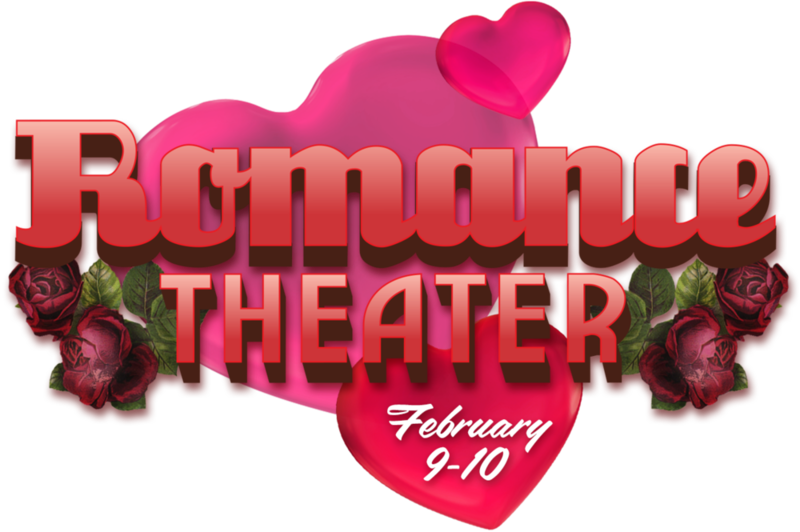 Romance Theater is a pay-what-you-can event. Feb. 9–10 at 7:30 in the Cheek Theatre. Once upon a time a showgirl on the run from the law takes shelter with seven kindly professors. They are all wise and learned in their fields, but she manages to teach them a thing or two, all while falling in love with the youngest. A delightful fable set in the 1940s is the centerpiece of Romance Theater, part of AE's popular pay-what-you-can series of faux radio broadcasts. The cast includes: David A. Gingerich, Katie Maringer, Gary Wingert, Patte Armato, Lund, Richard Raether, Angelo O'Dierno, Alex Ruano, and Tom Dotson. Remember, love lasts forever, but Romance Theater is only for two nights, Friday & Saturday, Feb. 9–10 at 7:30 in the Cheek Theatre at Rockford University. The wonderful cast of "It's a Wonderful Life": Top from left: Richard Raether, Lisa Turbyville, Lance A. Retallick. Bottom row from left: Tom Dotson, Erin Philpott, and Andrew Harth. AE's first ever "Bonus Show" had a limited run to sold out houses. This experiment is looking like a hit with audiences. Watch for AE's next bonus show coming in the spring, immediately following the run of "Best of Enemies"! Lion in Winter is now playing! Lion in Winter is playing through December 10. Here, Eleanor of Aquitaine summons the courage to look in her mirror: "My, what a lovely girl. How could her king have left her." Fun fact: Ricki G. Ravitts (Eleanor) is a direct descendent of the queen she portrays. AE is holding open non-Equity auditions for two upcoming productions at the Nordlof Center, 119 North Main St. in Rockford) on Sunday, August 20 at 1 pm, and both Monday and Tuesday, August 21-22 at 6 pm. Auditions scenes will be provided. AE is seeking an actress for the role of Mary in It's a Wonderful Life (performing Dec. 15–17) and casting for all roles (five women, four men) for the spring comedy/mystery Dying for Attention (performing Mar. 23-25). To make an audition appointment, e-mail to Andrew Harth or call 815-721-9630. Help us kick off our 14th season at the University Club, 5-8 p.m. Tuesday August 8th. Have a cocktail and visit with the cast of Steel Magnolias. Go out on the deck and enjoy the river view as you listen to music by Patte Armato Lund and John & Beth Chase. Then buy your tickets to our fabulous 14th season! Complimentary munchies as well as the Taco Tuesday menu will be available. Cash tips at the bar will go to support Artists' Ensemble. AE is on twitter now. Click on the twitter icon at the bottom of this page and follow us! Welcome to AE's new web site, rebuilt from the ground up. We will be adding pages, so check back to see what's new. Also, this site is scalable, meaning that it will resize to work on your phone, tablet, or computer.